Happy Monday! 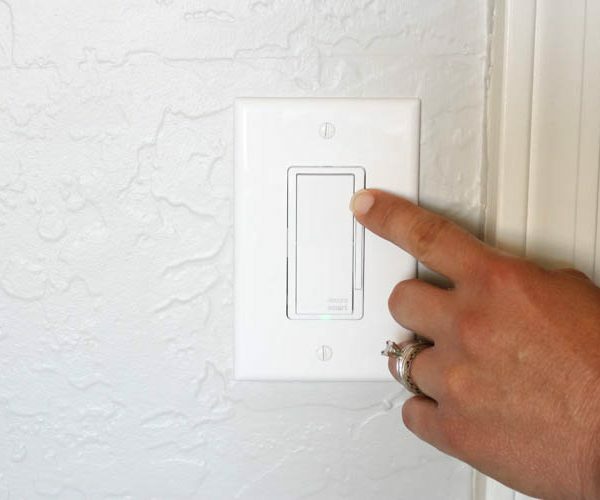 I’ve got a great list for you today of life changing laundry room organization ideas. Some of you may think that calling them “life changing” is a stretch, but anything that makes my life easier or better is definitely worthy of such title! Of all of the household duties I have, laundry is definitely my least favorite. I’m sure I can’t be the only one, right? 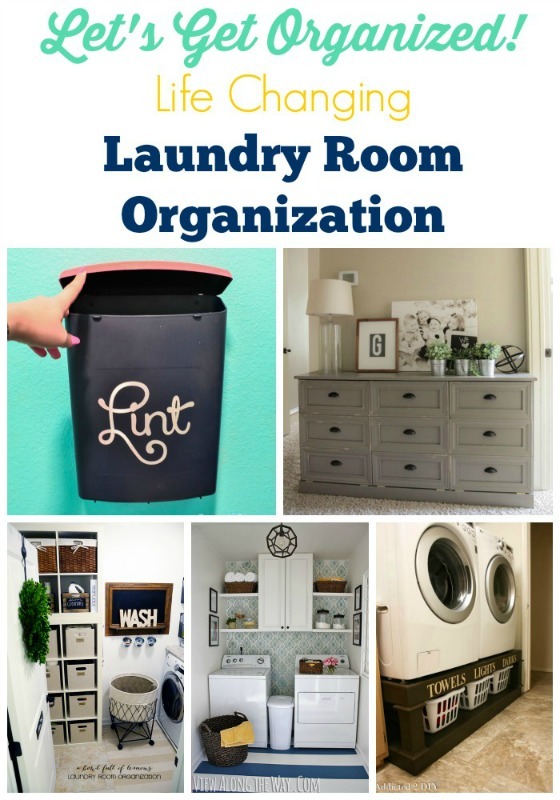 If you have a laundry “problem” like I do, hopefully some of these organizing tips will help you feel a little better when you walk into the laundry room. You don’t have to have a huge laundry room for it to be well organized. Toni from A Bowl Full of Lemons took full advantage of all of the space in her laundry room and organized it beautifully! Angela from Blue i Style didn’t let the fact that she didn’t have a laundry room stop her. 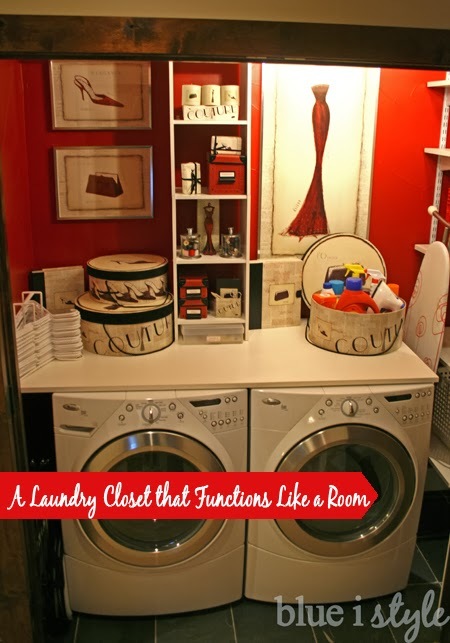 She organized and transformed her laundry closet to give it the feel and function of a true laundry room. It’s hard to believe this laundry room is the same room as the before picture. 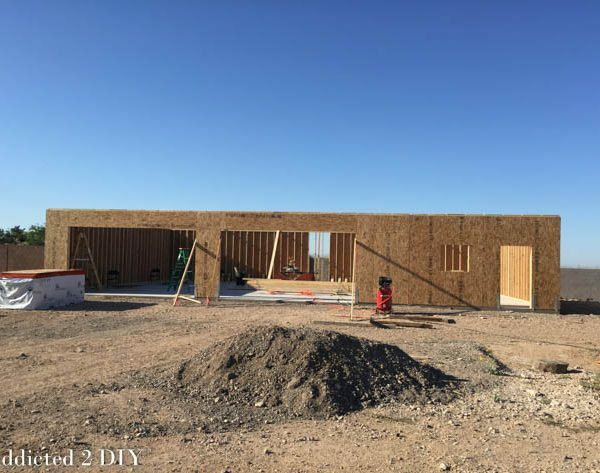 It’s such an amazing transformation, more functional, and it only cost $157! Check it out on View Along the Way. In our own laundry room, we struggled a lot with how to sort towels and clothes without having a pile on the floor. 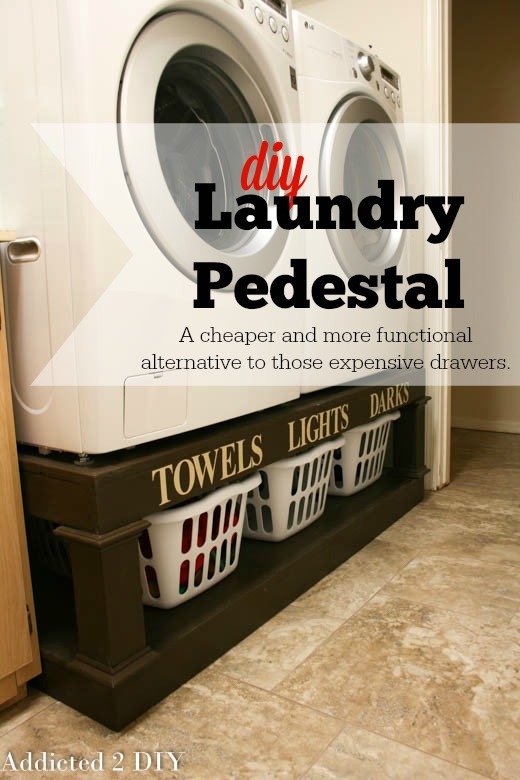 We built this DIY Laundry Pedestal for only $125 and it is a total game changer! 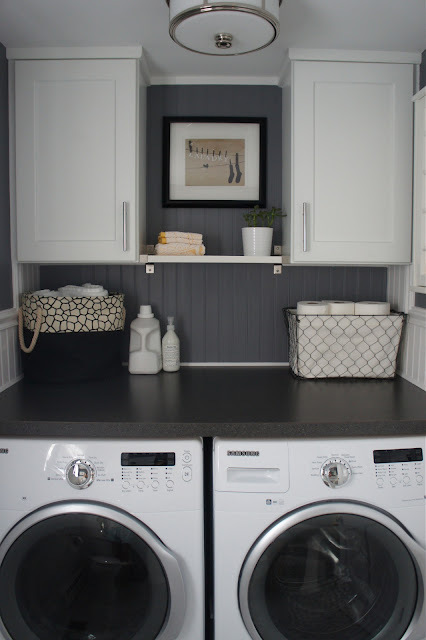 This double-duty half bath and laundry room makeover from Home with Baxter is stunning! 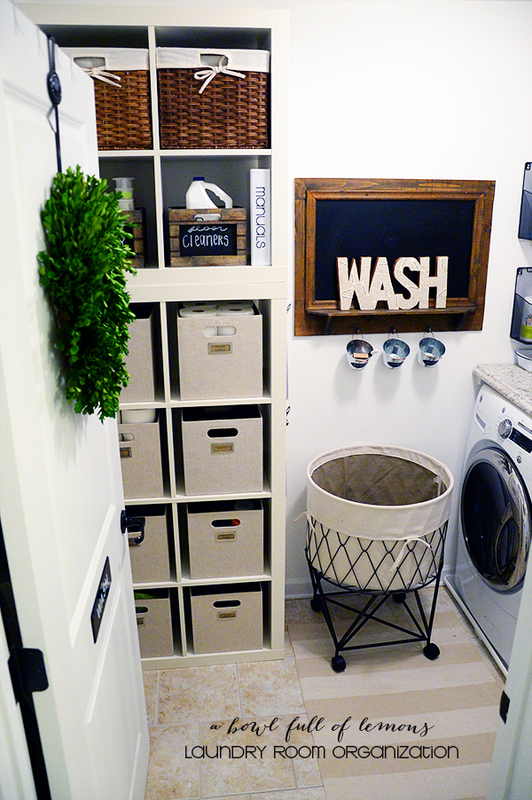 The new laundry space is organized, pretty, and functional all in one! Perfect combination! When you’re short on space, you can always hide your laundry in plain sight! 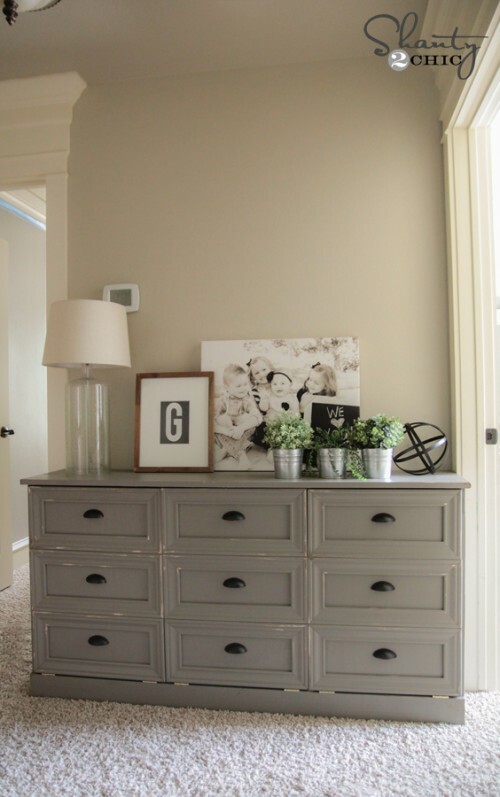 This may look like a gorgeous dresser, but this is actually an awesome laundry sorter from Shanty 2 Chic! 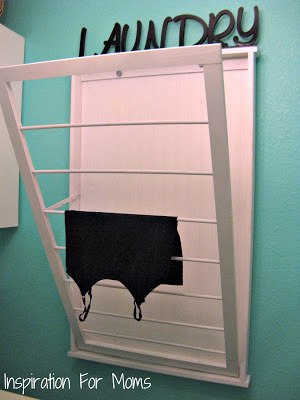 I have eyed the Ballard Designs drying racks for a while now, but this knockoff from Inspiration for Moms looks amazing! I am NOTORIOUS for not checking pockets before washing clothes. I have lost track of how many clothes I have ruined because of pens, etc. I even washed a check once! I would imagine something like this change jar would be a perfect reminder in my laundry room to check those pockets! Did you find new ideas? I certainly did! Our laundry room has horribly ugly cabinets and desperately needs an organization intervention. Our laundry pedestal is the only saving grace in there. 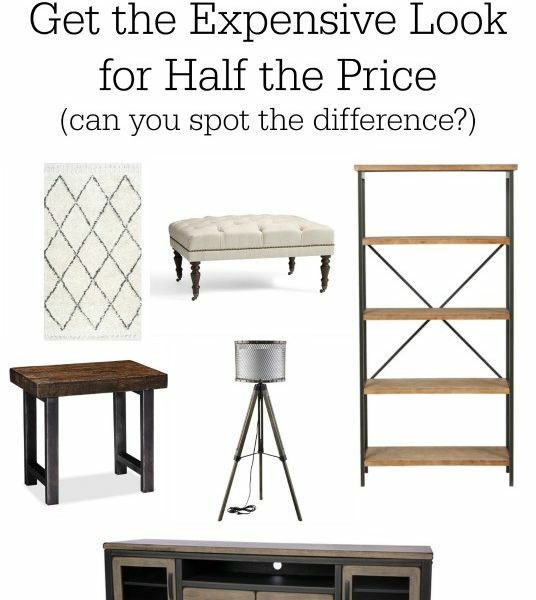 These ideas have definitely got me thinking up ideas to make our space more functional. How about you? These are all great laundry room design ideas. 🙂 The change jar is a super awesome idea. 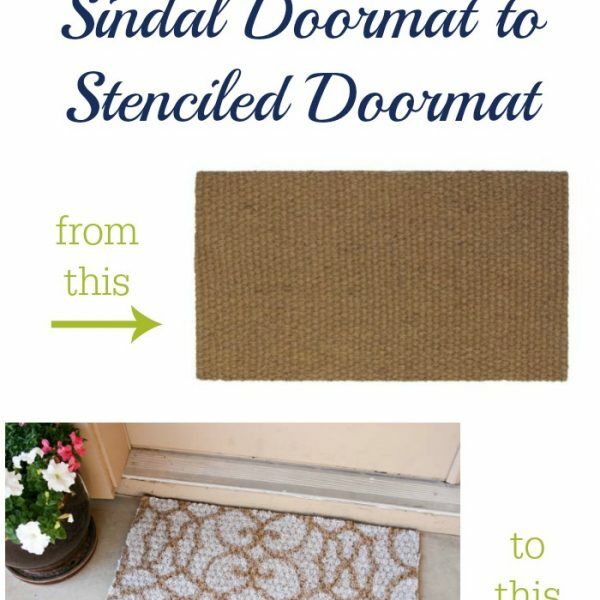 Will definitely revisit this post once I decide on renovating my laundry room. Thank you for sharing. 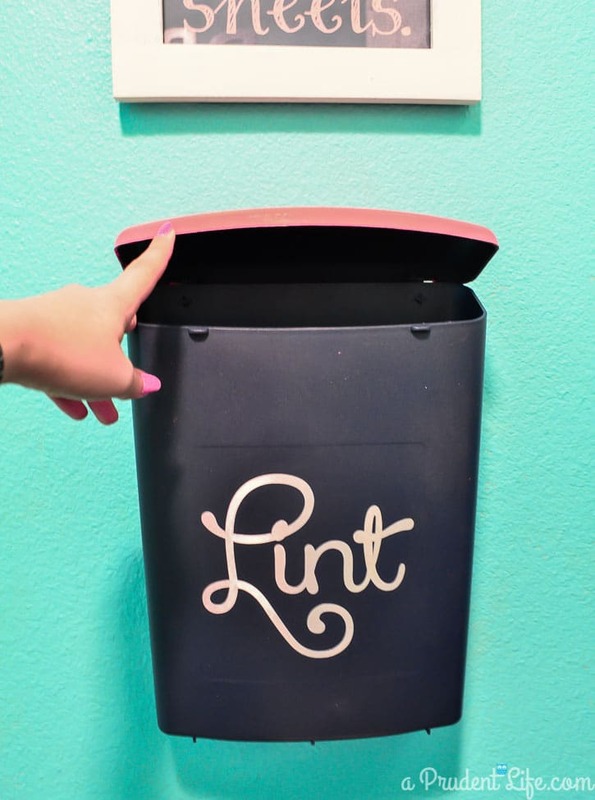 I really love the idea of the lint pail on the wall. That would be a life saver for my little closet washer and dryer area. I believe the lint box was purchased at Office Max. Thanks!